There are many rural areas in the Greater Richmond Area, and the agents at Virginia Estates are experts in helping buyers and sellers realize their goals. Get in touch with us today. Let the agents at Virginia Estates assist and guide you during your search for a beautiful farm in the Richmond Area. Virginia Estates agents are specialized in Richmond real estate, including Richmond farms. Let their experience and meticulousness grant you peace of mind throughout the entire process. It’s no surprise that the Southern United States is a prime target for people looking for a change of scenery and a place to settle down. Virginia, in particular, has land that is ideal for farm or ranch property, and Richmond is no exception. People from all over the country come to Virginia in search of this opportunity. 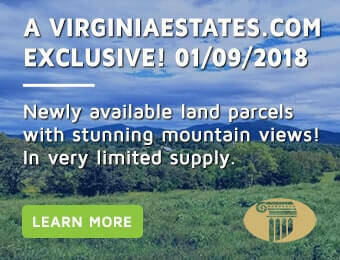 As one of the leaders in Virginia real estate, Virginia Estates is the obvious choice when seeking assistance finding farmland in and around Richmond. Our team will keep your best interests in mind throughout the process, from scouting to closing. If you are looking to sell they will make sure you get the best price for your property. Much of the richest farmland in Virginia is located in Central Virginia, making Richmond a great choice when looking for a location to establish or maintain a farming operation, a ranch, an equestrian property or even a vineyard. The Department of Agriculture’s National Resources Conservation Service reports that the Richmond area has abundant prime farmland. The designation “prime” means that the land meets special criteria regarding its chemical and physical characteristics. Land of this quality produces the best food and crops and is the most efficient and economically friendly. Farms selling in and around Richmond appeal to many because of this special designation as prime farmland. The chances of successfully growing crops increase dramatically in their rich soil, and provide an ideal environment for other times of farms. Inhabitants of Richmond understand the importance of agricultural resources – its founding on the James River was no coincidence – and this realization is part of what has made Richmond into the thriving city that it is. Farming has always been a vital part of the state’s economy and will continue to be long into the future. The farming industry in Virginia alone produces about $19.5 billion each year and provides hundreds of thousands of jobs. The perfect farm property can be difficult to find and the process can definitely be an overwhelming one; it is no doubt a complex endeavor. Let the team at Virginia Estates guide and enlighten you on your search for that dream piece of farmland in the beautiful habitat that is the Richmond area.